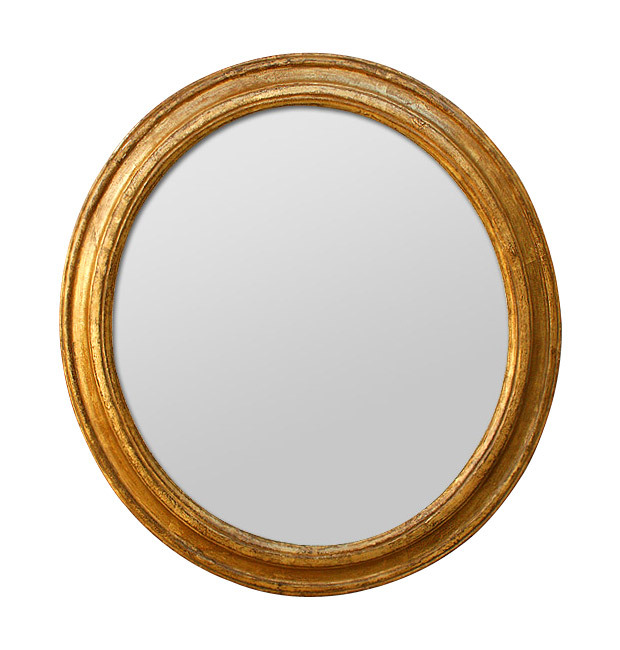 Browse our suggestions of antique round mirrors. 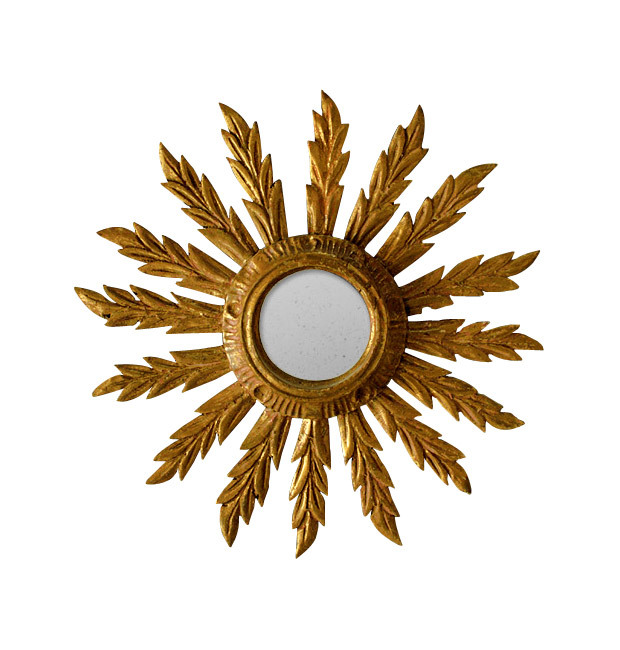 Antique sunburst mirror. Round gilt wood mirror, 1950s. Mirror round antique carved wood, re-gilded with copper leaf. Patina restored composition.